AIR provides an easy-to-use, cross-platform window API for creating native operating system windows using Flash®, Flex™, and HTML programming techniques. With AIR, you have a wide latitude in developing the appearance of your application. The windows you create can look like a standard desktop application, matching Apple style when run on the Mac, conforming to Microsoft conventions when run on Windows, and harmonizing with the window manager on Linux—all without including a line of platform-specific code. Or you can use the skinnable, extensible chrome provided by the Flex framework to establish your own style no matter where your application is run. You can even draw your own window chrome with vector and bitmap artwork with full support for transparency and alpha blending against the desktop. Tired of rectangular windows? Draw a round one. The ActionScript-oriented NativeWindow class provides the lowest level window API. Use NativeWindows in ActionScript and Flash Professional-authored applications. Consider extending the NativeWindow class to specialize the windows used in your application. The Flex framework mx:WindowedApplication and mx:Window classes provide a Flex “wrapper” for the NativeWindow class. The WindowedApplication component replaces the Application component when you create an AIR application with Flex and must always be used as the initial window in your Flex application. When you create windows with the NativeWindow class, use the Flash Player stage and display list directly. To add a visual object to a NativeWindow, add the object to the display list of the window stage or to another display object container on the stage. When you create windows with the Flex framework, you typically use MXML components to populate the window. To add a Flex component to a window, you add the component element to the window MXML definition. You can also use ActionScript to add content dynamically. 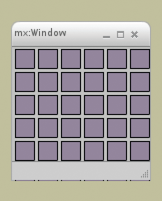 The mx:WindowedApplication and mx:Window components are designed as Flex containers and so can accept Flex components directly, whereas NativeWindow objects cannot. When necessary, the NativeWindow properties and methods can be accessed through the WindowedApplication and Window objects using the nativeWindow property. The first window of your application is automatically created for you by AIR. AIR sets the properties and content of the window using the parameters specified in the initialWindow element of the application descriptor file. If the root content is a SWF file, AIR creates a NativeWindow instance, loads the SWF file, and adds it to the window stage. If the root content is an HTML file, AIR creates an HTML window and loads the HTML. The NativeWindow object dispatches a displayStateChanging event. If no registered listeners cancel the event, the window maximizes. The NativeWindow object dispatches a displayStateChange event. A move event is dispatched if the top, left corner of the window moved because of the maximize operation. A resize event is dispatched if the window size changed because of the maximize operation. A NativeWindow object dispatches a similar sequence of events when minimizing, restoring, closing, moving, and resizing a window. The warning events are only dispatched when a change is initiated through window chrome or other operating-system controlled mechanism. When you call a window method to change the window size, position, or display state, the window only dispatches an event to announce the change. You can dispatch a warning event, if desired, using the window dispatchEvent() method, then check to see if your warning event has been canceled before proceeding with the change. For detailed information about the window API classes, methods, properties, and events, see the ActionScript 3.0 Reference for the Adobe Flash Platform . When you create a window, you set these properties on the NativeWindowInitOptions object passed to the window constructor. AIR reads the properties for the initial application window from the application descriptor. (Except the type property, which cannot be set in the application descriptor and is always set to normal .) The properties cannot be changed after window creation. Some settings of these properties are mutually incompatible: systemChrome cannot be set to standard when either transparent is true or type is lightweight . A typical window. Normal windows use the full-size style of chrome and appear on the Windows taskbar and the Mac OS X window menu. 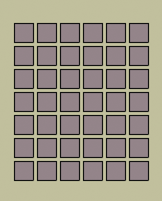 A tool palette. Utility windows use a slimmer version of the system chrome and do not appear on the Windows taskbar and the Mac OS X window menu. Lightweight windows have no chrome and do not appear on the Windows taskbar or the Mac OS X window menu. In addition, lightweight windows do not have the System (Alt+Space) menu on Windows. Lightweight windows are suitable for notification bubbles and controls such as combo-boxes that open a short-lived display area. When the lightweight type is used, systemChrome must be set to none . Window chrome is the set of controls that allow users to manipulate a window in the desktop environment. Chrome elements include the title bar, title bar buttons, border, and resize grippers. You can set the systemChrome property to standard or none . Choose standard system chrome to give your window the set of standard controls created and styled by the user’s operating system. Choose none to provide your own chrome for the window. Use the constants defined in the NativeWindowSystemChrome class to reference the system chrome settings in code. System chrome is managed by the system. Your application has no direct access to the controls themselves, but can react to the events dispatched when the controls are used. When you use standard chrome for a window, the transparent property must be set to false and the type property must be normal or utility . When you create a window with no system chrome, then you must add your own chrome controls to handle the interactions between a user and the window. You are also free to make transparent, non-rectangular windows. To use custom chrome with the mx:WindowedApplication or mx:Window components, you must set the showFlexChrome style to false . Otherwise, Flex will add its own chrome to your windows. To allow alpha blending of a window with the desktop or other windows, set the window transparent property to true . The transparent property must be set before the window is created and cannot be changed. A transparent window has no default background. Any window area not containing an object drawn by the application is invisible. If a displayed object has an alpha setting of less than one, then anything below the object shows through, including other display objects in the same window, other windows, and the desktop. 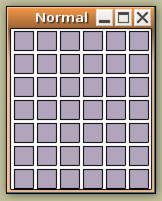 Transparent windows are useful when you want to create applications with borders that are irregular in shape or that “fade out” or appear to be invisible. However, rendering large alpha-blended areas can be slow, so the effect should be used conservatively. Important: On Linux, mouse events do not pass through fully transparent pixels. You should avoid creating windows with large, fully transparent areas since you may invisibly block the user’s access to other windows or items on their desktop. 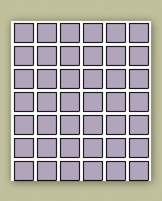 On Mac OS X and Windows, mouse events do pass through fully transparent pixels. Transparency cannot be used with windows that have system chrome. In addition, SWF and PDF content in HTML may not display in transparent windows. For more information, see Considerations when loading SWF or PDF content in an HTML page . The static NativeWindow.supportsTransparency property reports whether window transparency is available. When transparency is not supported, the application is composited against a black background. In these cases, any transparent areas of the application display as an opaque black. It is a good practice to provide a fallback in case this property tests false . For example, you could display a warning dialog to the user, or display a rectangular, non-transparent user interface. Note that transparency is always supported by the Mac and Windows operating systems. Support on Linux operating systems requires a compositing window manager, but even when a compositing window manager is active, transparency can be unavailable because of user display options or hardware configuration. If an element in the HTML document sets a background color, the background of that element is not transparent. Setting a partial transparency (or opacity) value is not supported. However, you can use a transparent PNG-format graphic as the background for a page or a page element to achieve a similar visual effect. 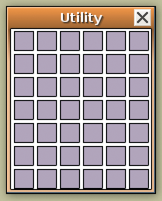 One window can own one or more other windows. These owned windows always appear in front of the master window, are minimized and restored along with the master window, and are closed when the master window is closed. Window ownership cannot be transfered to another window or removed. A window can only be owned by one master window, but can own any number of other windows. You can use window ownership to make it easier to manage windows used for tool palettes and dialogs. For example, if you displayed a Save dialog in association with a document window, making the document window own the dialog will keep the dialog in front of the document window automatically. Note: The following system chrome elements are not supported by AIR: the Mac OS X Toolbar, the Mac OS X Proxy Icon, Windows title bar icons, and alternate system chrome.